before I became sushi chef. Therefore I have two type of knives. 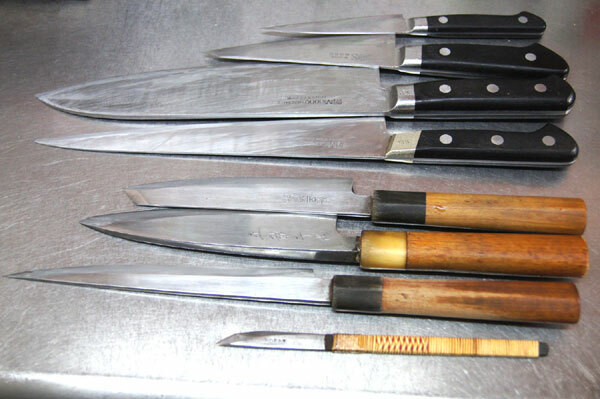 It is a knife for Western food in a upper of photo , and the bottom is a knife of the Japanese food. 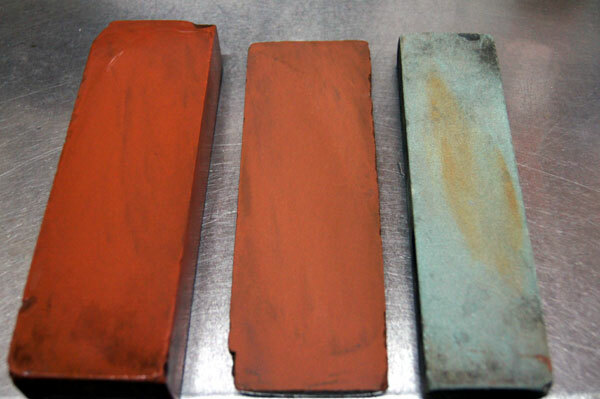 Those are 3 kind of whetstones. rough sharpeners,standard and finish use. 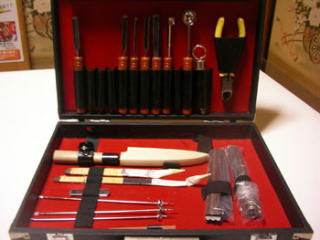 Here is a "mukimono(veggie carving) tool"
There are many tools for making a vegetable carving. Note PC for money to buy this tool. I use those two. 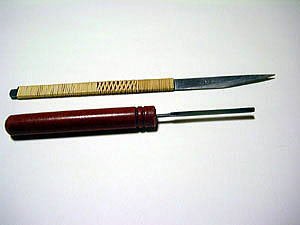 keen knife and knife of triangle. you can try veggie carving if you have a keen knife like this.